Chemist, born in 1960, he currently works as laboratory manager in a mineral water and non-alcoholic beverages factory in Switzerland. In 1987 he created a database of Swiss sightings : Registre des Observations d’Ovnis en Suisse (ROOS), which has now more than 1400 cases. From 1988 to 1995, he was member of the editorial board of Ovni-Présence / Anomalies (France / Switzerland). Swiss correspondent for Sezione Ufologica Fiorentina (SUF), Florence, Italy, since 1983. Member of the Association Suisse Romande de Parapsychologie (ASRP), Lausanne, Switzerland, 1986-1994. Member of the Association des Amis de la Maison d’Ailleurs (AMDA, http://www.ailleurs.ch/amda/), Yverdon-les-Bains, Switzerland, since 1989. 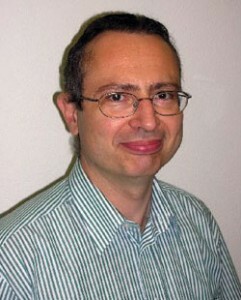 Swiss correspondent for Centro Italiano Studi Ufologici (CISU, http://www.cisu.org/), Torino, Italy, since 1992. Member of the International Meteor Organization (IMO, http://www.imo.net/), Potsdam, Germany, since 1993. Swiss correspondent for Mutual UFO Network (MUFON, http://www.mufon.com/), Morrison, USA, since 2003. Publications : articles mainly in Ovni-Présence, Anomalies and Il Giornale dei Misteri; co-author of OVNI : vers une anthropologie d’un mythe contemporain (editor : Thierry Pinvidic), Heimdal, Bayeux (France) 1993. Online article : http://www.ijsklompen.net/swiss.htm (A Block of Ice Falls on Rue, Switzerland, WGN, vol. 27, #2, April 1999, pp. 133-134).